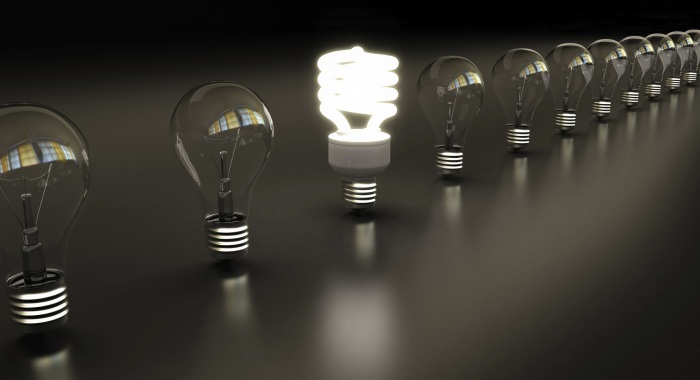 At the beginning of 2014, light bulb manufacturers will stop producing 40- and 60-watt incandescent light bulbs, phasing out the last of the inefficient lighting options on the market. Last year, 75- and 100-watt incandescent bulbs were phased out. The change is part of a law that President George W. Bush signed in 2007 which set standards for energy efficiency in light bulbs — a threshold typical incandescent lights just can’t meet — and outlined a schedule for when inefficient lighting would be phased out. A standard incandescent bulb uses only 10 percent of the energy it consumes to produce light while the other 90 percent is lost as heat. By 2020, Bush’s law will require that all light bulbs be 60 to 70 percent more efficient than incandescent lighting options. In place of inefficient incandescent bulbs, consumers will see more LED, compact fluorescent and halogen bulbs on the shelves. Each of these options is slightly more expensive than traditional incandescent bulbs, but offer energy and cost savings over time. Plus, utilities such as PECO and PPL in Pennsylvania often offer discounts on energy-efficient bulbs to make it easier for consumers to afford them. Halogen bulbs are highly efficient incandescent light bulbs. Because they are 25 percent more efficient and can last up to three times longer than a regular incandescent bulb, halogen lights pass the government’s efficiency standard for light bulbs — at least until 2020. Compact fluorescent lights (CFLs) are also a more efficient choice. They can last 10 times longer and use up to 75 percent less power than incandescent bulbs. LED light bulbs are the most efficient option. The U.S. Department of Energy says LED lights have an energy savings of 75 to 80 percent and can last up to 25 times longer than incandescent bulbs. These bulbs already pass the efficiency threshold the government will hold light bulbs to in 2020. However they are significantly more expensive than the cheap incandescent options many people are used to — more than $10 each in some cases. What does the ban on incandescent bulbs mean? In 2012, American consumers installed more than 49 million LED bulbs, saving more than 2 billion kilowatts of electricity and $675 million in energy costs, according to a report by the DOE. But despite the monetary and environmental benefits of switching to more efficient lighting, not everyone’s happy about the ban on incandescent bulbs. For those who aren’t pleased with the legislation, it’s important to note that the ban on incandescent bulbs applies only to manufacturers. Consumers can still use incandescent light bulbs in their homes and purchase them at the store, at least while they last. Manufacturers can no longer produce incandescent bulbs, but can continue to sell the supply that has been manufactured. And retail stores can keep the items on the shelf until they have sold out. But at some point, the United States will run out of incandescent bulbs and consumers will have to choose more efficient lighting options.